Between his Spring conference keynotes in Timisoara (District 95) and Luxembourg (District 59), Mohammed Qahtani chose to spend some time in Belgium. Toastmasters Antwerpen invited the 2015 World Champion of Public Speaking to give a Masterclass on Thursday, 19 May. 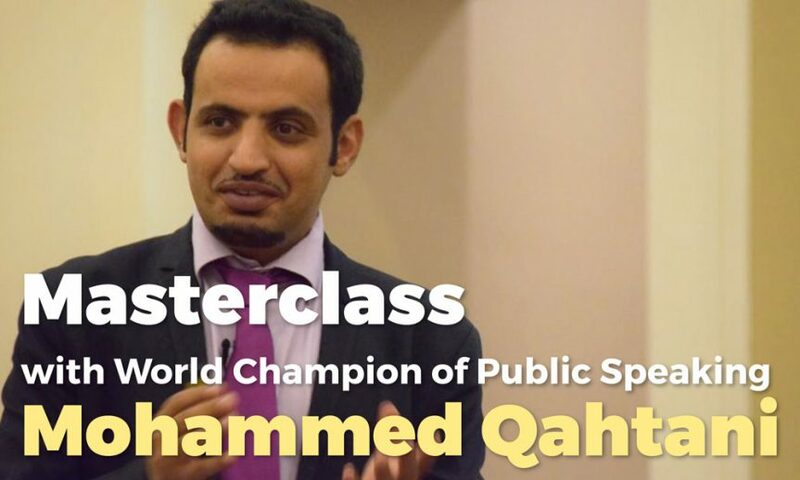 In this highly interactive meeting, you will learn from Mohammed’s experience as a Toastmasters World Champion, keynote speaker and corporate trainer. His feedback, tips and tricks will enable you to create better speeches, boost your stage presence and conquer the hearts of your audience. Register now for this unique event! Previous Previous post: Division B Spring Conference: the Programme!